Takunda Chingozo, the founder of the innovation center, Tech village has been named as one of the 100 Most Influential Young Africans for 2018 at the Youth African Awards. The list features politicians, activists, entrepreneurs, entertainers, digital influencers, philanthropists & athletes across 10 distinct categories who are excelling in various fields and promoting the positive image of Africa across the globe. 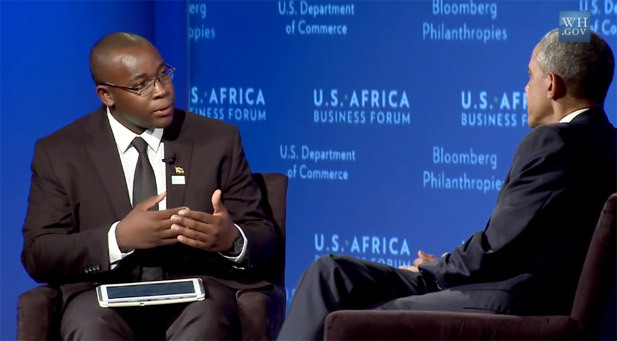 Takunda Chingozo is well known for his interview with Former President Barack Obama in which he told him that sanctions were making ordinary citizens suffer and hindering startups to grow. Another Zimbabwean who joins Takunda Chingozo is Samuelle Dairhamo who is a co-founder of a couple of companies such as Chengetedzai Depository Company and Auro Group. At the time of its founding, Chengetedzai Depository Company was Zimbabwe’s first central securities depository for the capital markets. Samuelle Dimairho was also one of the four Zimbabweans to make it on this year’s Forbes 30 Under 30 list.